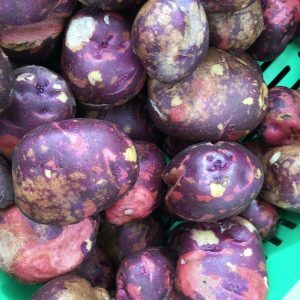 Home / Potatoes / Peanut Potatoes, $1.50/lb. 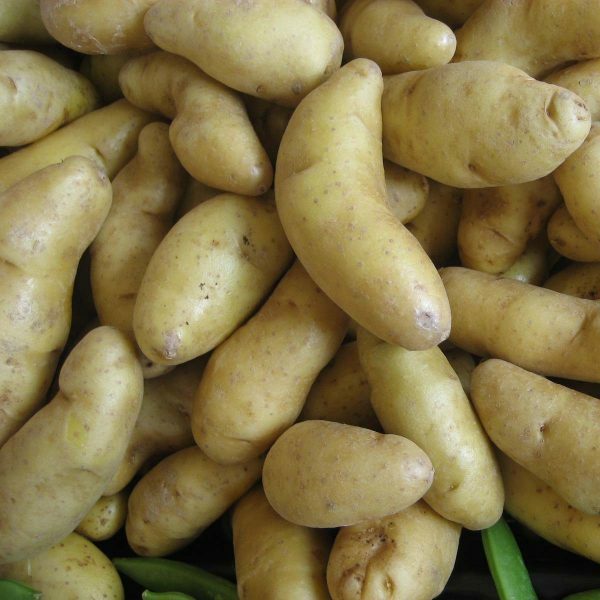 Bruce’s dad gave him some fingerling potatoes to plant back in 1958, when he was just six years-old. 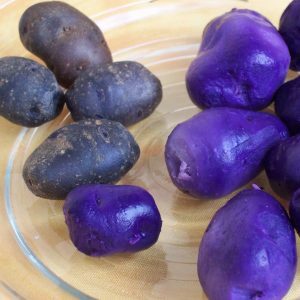 Bruce planted them every year, keeping the traits he liked best from every batch until finally over 8 years, he had the peanut potato he wanted. Best sliced and pan-fried or split and roasted, brushed with olive oil. 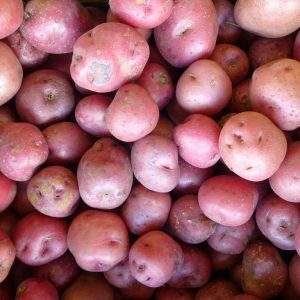 We serve tons (literally tons) of this potato every year at the Alaska State Fair with our Smokey Bacon Dip. Best potato taste ever!!! When the crop is ready or comes into the farm from one of our affiliate farms, we’ll send you an email that your order can be fulfilled and notify you when to pickup at the farmstand. You will need to pickup your order within 48 hrs of being contacted. If you do not pickup the order, your order will go to the next available customer. If we can’t fulfill the order, you will be reimbursed, in full, any money you’ve paid for the product.